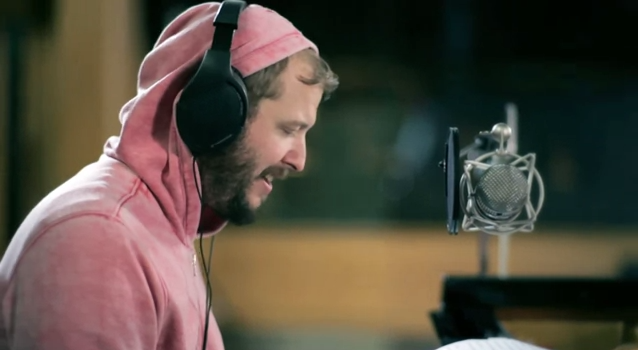 Working with record labels 4AD and Jagjaguwar, Justin Vernon and Sean Carey of Bon Iver sat down at AIR Studio’s Lyndurst Hall to record a breathtaking 25 minute live session, a stylistic contrast from the band’s recent shows with a full eleven-piece band. Instead, Vernon and Carey provide an intimate, sit-down session, performing songs from the Blood Bank EP and the band’s Grammy Award winning Bon Iver, Bon Iver while also throwing in a cover of Bonnie Raitt‘s “I Can’t Make You Love Me” (which was also included as a bonus track from Bon Iver, Bon Iver). Be sure to set aside half an hour this weekend and watch the session below, courtesy of 4AD and Jagjaguwar.